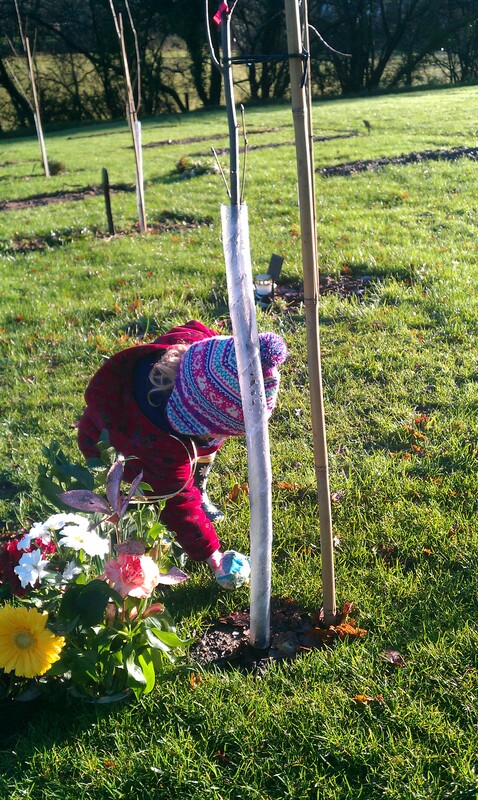 This morning, in the sparkling sunlight, Saskia and I visited Ben’s burial place together. We were there for a special reason – something I’d been planning for a few months. 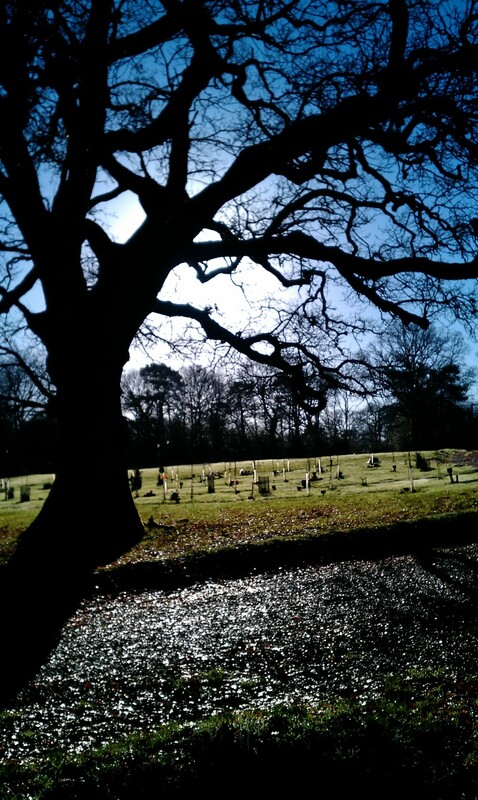 Since Saskia and I started having little ‘conversations’ about where Daddy had gone to (see this earlier post for more on this), I have thought about bringing her to the burial ground so that I could begin to tell her a little about why it’s such a special place for her. She’s been several times before of course (at the funeral, and a number of family gatherings), but we’ve never talked to her about why we’re there – she’s always just treated it as a little expedition out in the countryside – flowers to look at, gravel to crunch, mud to squelch in. I know she’s too young to understand much, but she can understand that the place is special and associated with her Daddy. 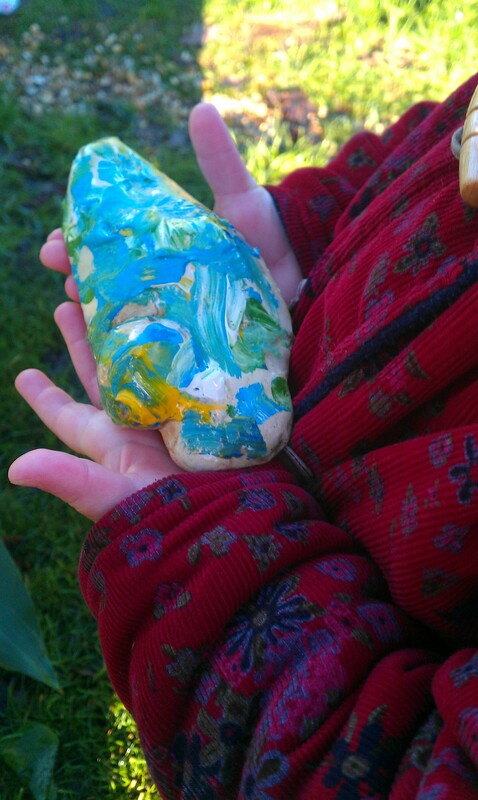 So, to tie the place to her, we made a stone – a present from her to Daddy. 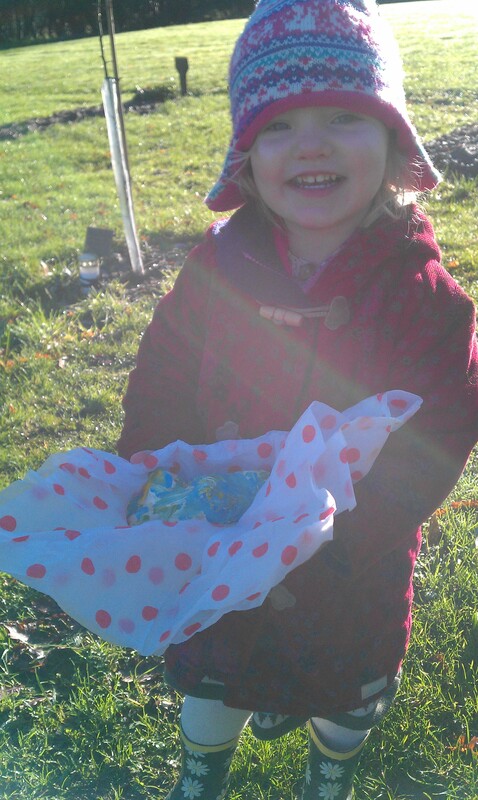 And so Saskia put it under ‘Daddy’s tree’ – and hopefully there it will stay for a long long time, nestled amongst the grass and roots. It was such a perfect time. I hadn’t envisaged the fun part – I hadn’t gone further than the stone and the talking about Daddy part in my imaginings of our visit. But it was just right – now Sas will have these vivid, fun-filled memories to go with her memories of Daddy’s tree and her painted stone. I suppose these images are just fragments in her mind at the moment – little shiny pieces that she knows go together but exactly how they fit and what they mean she can’t tell. After our adventures down by the pond we crunched our way back up the gravel path to Ben’s tree, meeting his mum, step-dad and sister along the way. 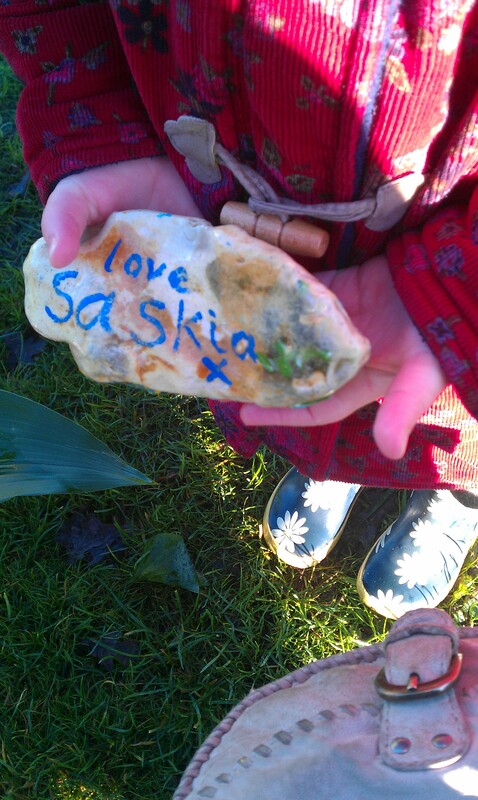 To my surprise Saskia proceeded to confidently tell her nana, gramps and aunty that this was Daddy’s special tree which would grow bigger and bigger, and this was her stone for Daddy. 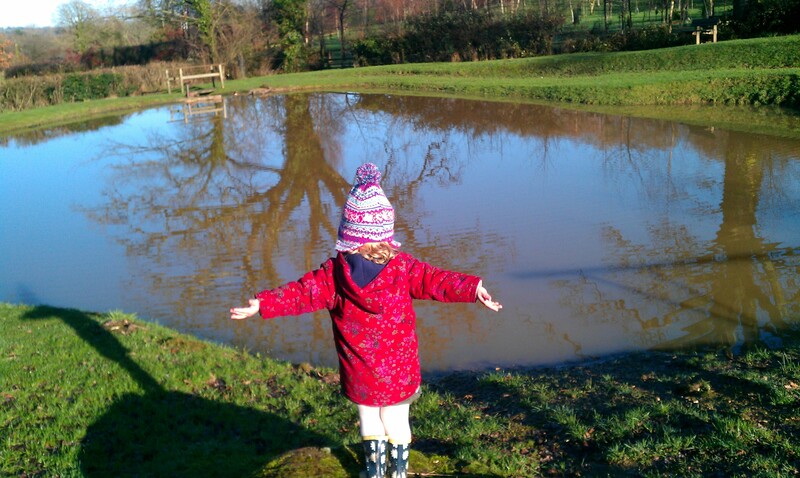 So it did go in after all – seems she can listen and stomp around exploring graves. Clever girl. Categories: Uncategorized | Tags: children and grief, explaining death to children, grief and memory, grieving | Permalink.